It’s starting libero had retired from the game. One of its key middle blockers had left for the entire first semester to pursue academic opportunities on another continent. Two starting middles, both former B.C. high school standouts, had transferred back home and were brand new to the roster. And of course there were seven incoming freshmen to add to the mix. Just in time, and against all odds, those moving parts somehow became one, climbing to the top of the Canadian women’s university volleyball world on Sunday night in Edmonton with a championship-match comeback victory so epic that within the cache of head coach Doug Reimer’s eight UBC national championship rings, it’s already earned a most special distinction. 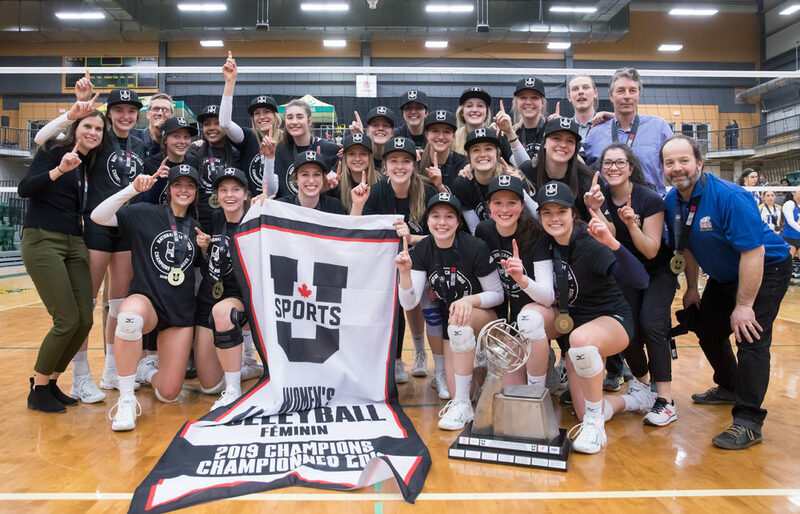 Over his previous seven U Sports title-winning campaigns, Reimer had three times gone the full five sets in the championship game, yet none of those teams had never opened a national final by losing the first two. In this season of moving parts, however, of big highs and big lows, and a first-ever No. 8 seed at the big dance, why not accept one final challenge from the volleyball gods above? Of course you know by now that No. 8 seed UBC, which went five sets in its opening-round upset of No. 1 Trinity Western, just kept this wild and wacky riding going right to the end. 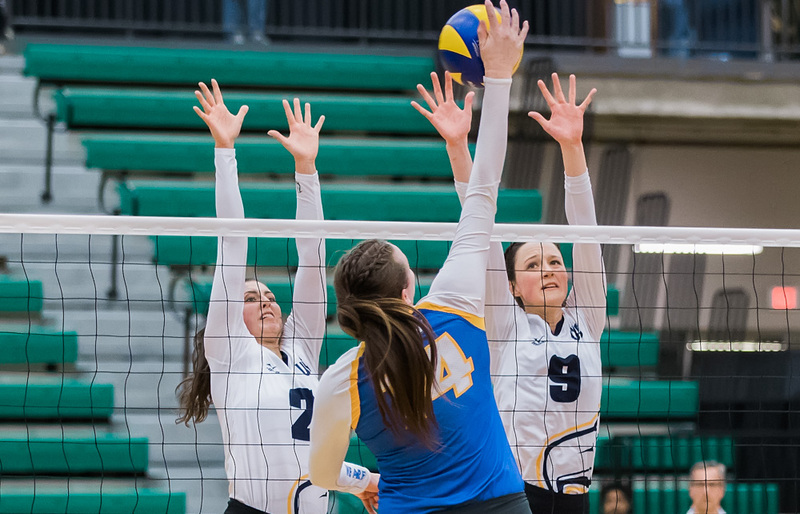 UBC dropped its first two sets on Sunday to the defending champion Ryerson Rams, yet seemed to re-invent themselves at the snap of a finger, winning the next three for a 3-2 (14-25, 20-25, 25-20, 25-20, 15-11) victory and it’s second national title in the past three seasons. Reimer had previously led the ‘Birds to six straight titles from 2008-13. He also won another national women’s title as the helm of the Winnipeg Wesmen. Still, its comeback win over Ryerson was one which capped a gauntlet run through these nationals by the ‘Birds. Of course when it came to special, it was hard not to lead with the ‘Birds super-soph outside hitter Kiera Van Ryk, who was picked tourney MVP after delivering 24 kills against Bobcats. 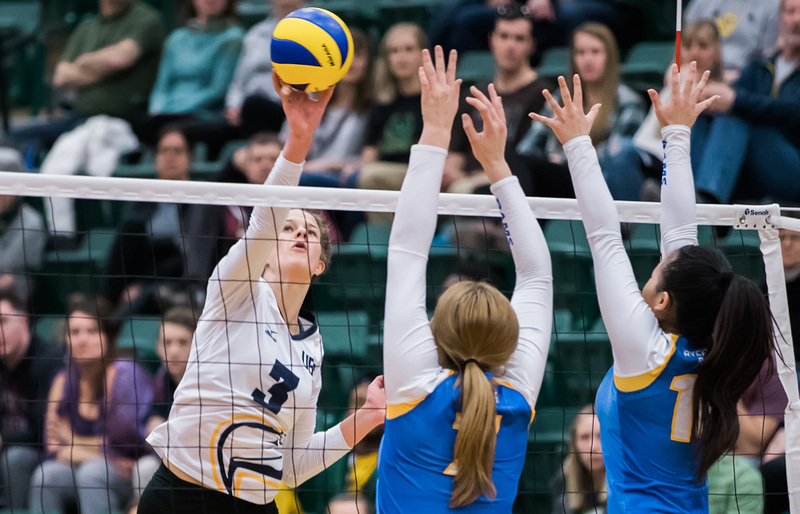 Van Ryk, in fact, who had 36 kills against Trinity Western on Friday, averaged 24 kills per game over the course of the national championships. Yet as Van Ryk insisted afterwards, she got so much support from her teammates, so many of whom stepped up in their own way, as part of comeback that no one player would ever have been able to fully shoulder. There was Hanly, the fifth-year middle who was studying abroad in Scotland over the first half of the season and who on Sunday provided 11 kills and great defence to the cause. There was libero Sam Patko who had a very heavy academic load on her plate and determined she would leave the team. Her decision to return was huge, and she averaged 16 digs-per-game over the course of nationals. They were two of the moving pieces. As well, ex-Earl Marriott grad Tessa Davis, a fourth-year middle transferred back home from the University of Toronto, while ex-South Delta grad Jayde Robertsen did likewise, coming back from NCAA Div. 1 Eastern Washington. 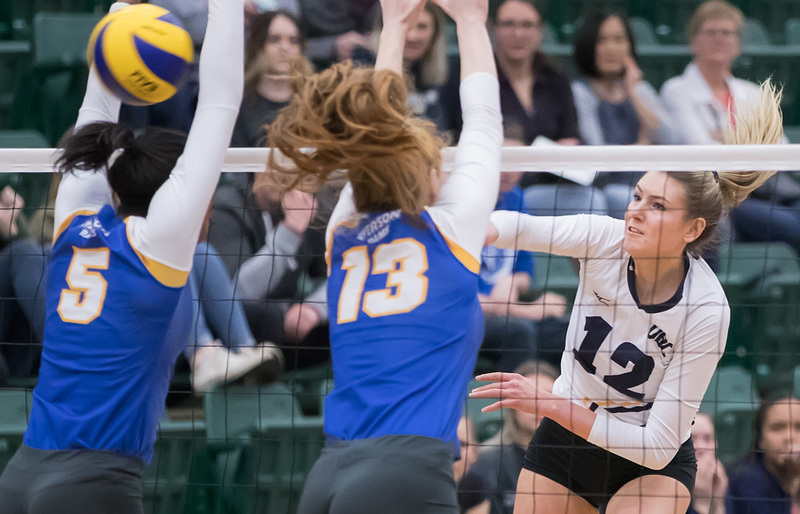 They all joined the likes of fifth-year outside hitter Victoria Behie, third-year setter Olivia Furlan, and fourth-year left-side Anna Price who had returned in January from an ankle injury and made herself a presence. “We were an enigma wrapped in a riddle for chunks of the season,” said Reimer. “What was really frustrating was for long chunks we would play a very high level, but then we would dip and we’d make far too many errors. And so in a sense, that wide-angle script of the season served as a microcosm of what the ‘Birds showed in Sunday’s comeback win for the title against Ryerson. The only difference this time was that it was mid-March, not mid-November. “I’ve had instances where the team comes out and they’re just over-tight, but against Ryerson today, that wasn’t the case,” the coach said. “We were just getting beat by a superior team at that point in time. They rocked us on the serve and we didn’t respond by serving well enough to put them on their heels. Respectfully, if you’re a UBC fan, that last part should be left open to debate.